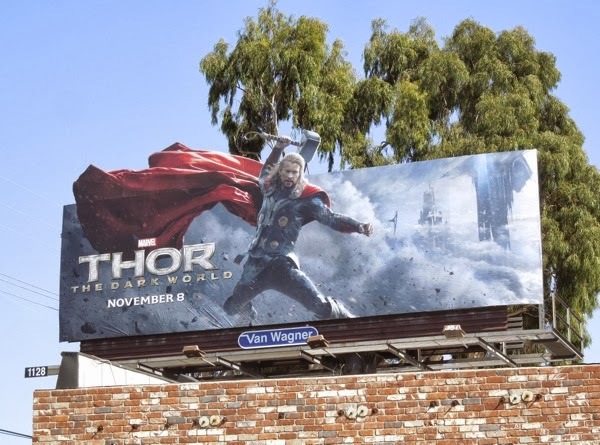 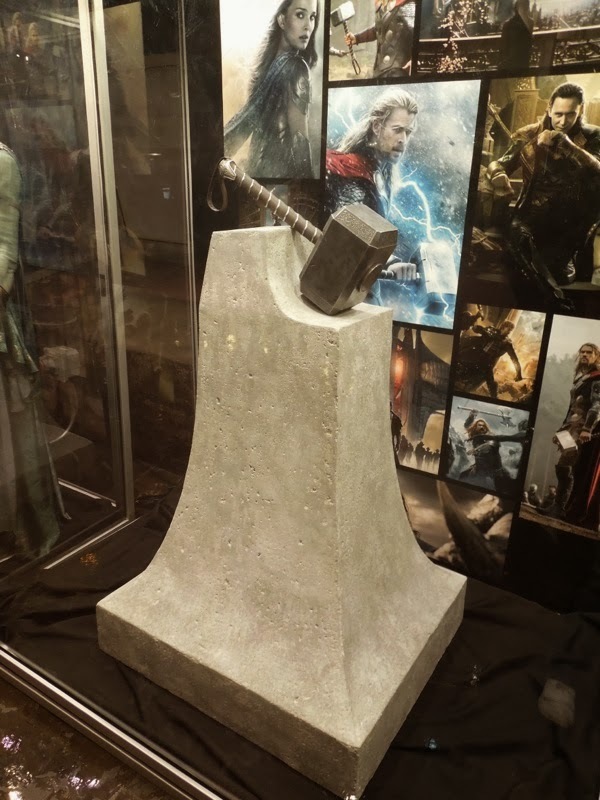 In Thor: The Dark World, Marvel Comics God of Thunder returns to the big screen in the sequel to his surprise 2011 solo box office hit and the phenomenally successful Avengers debut movie. 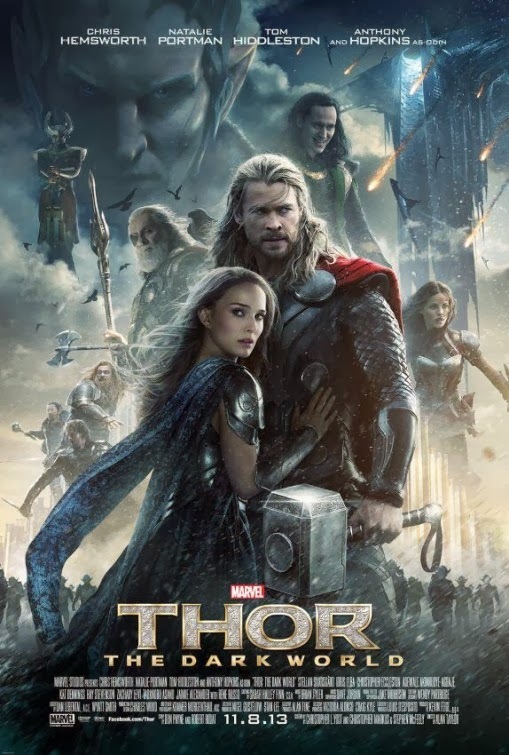 The film sees him reunited with his mortal love Jane Foster, plus forging an alliance with his scheming brother 'Loki' to save Asgard and the Earth from the threat of 'Malekith' and his Dark Elves. 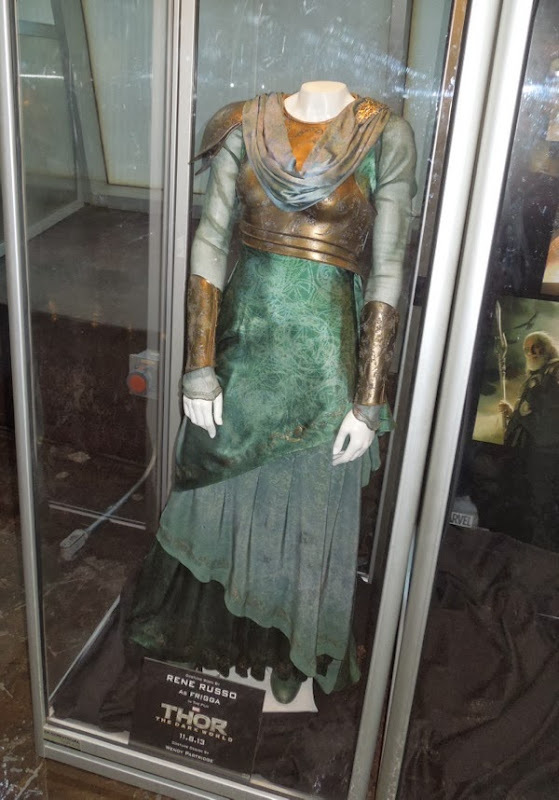 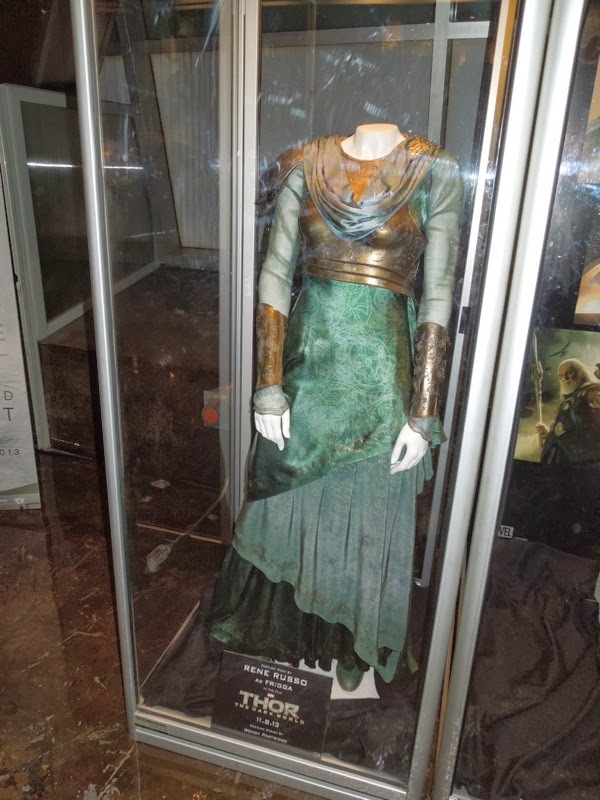 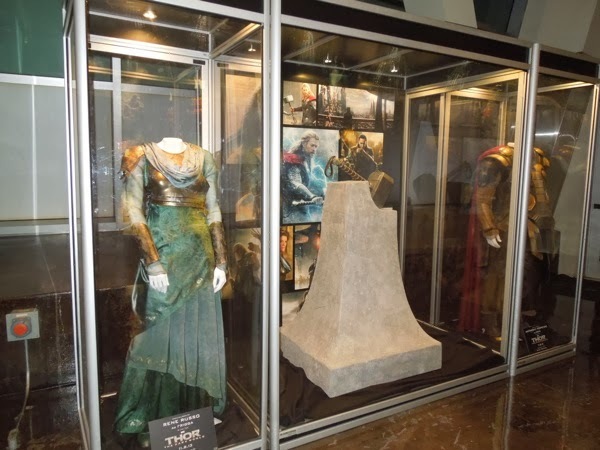 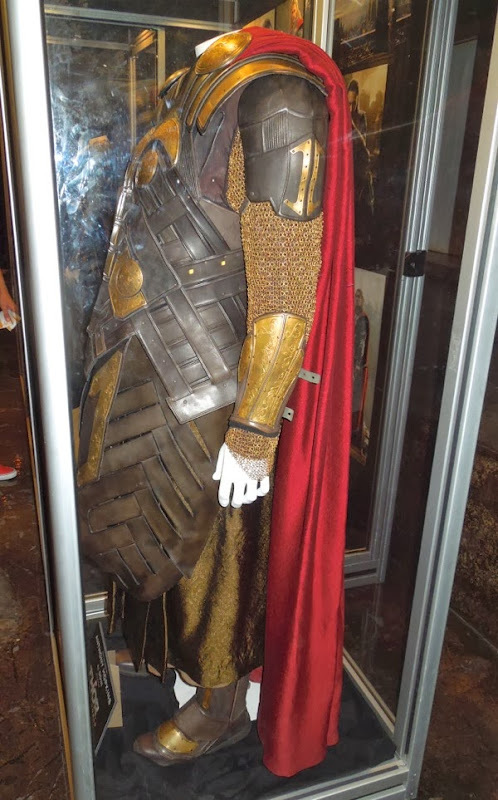 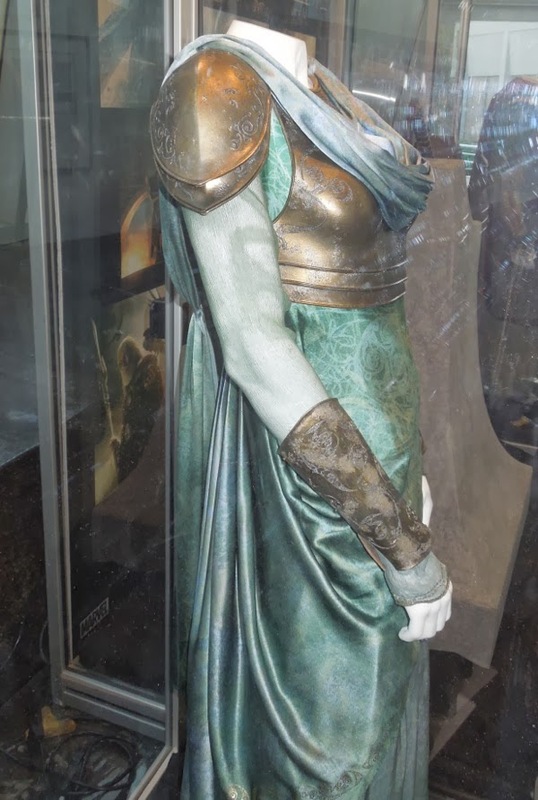 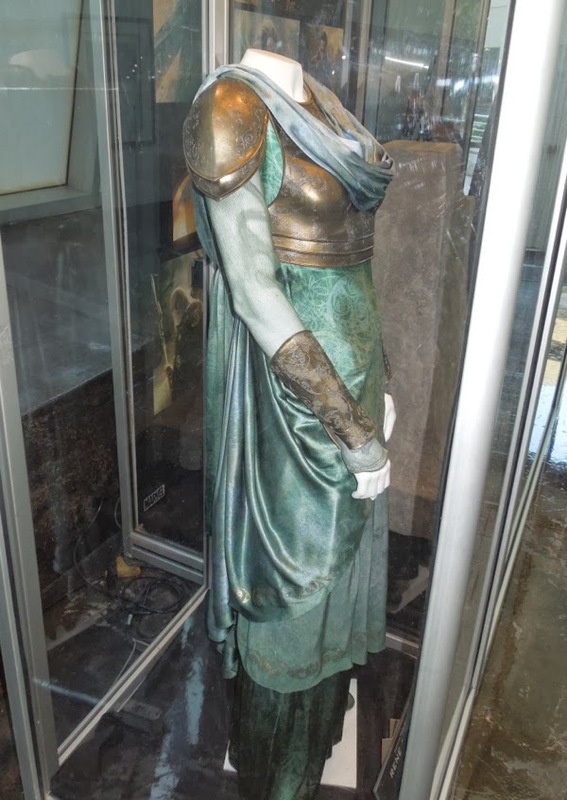 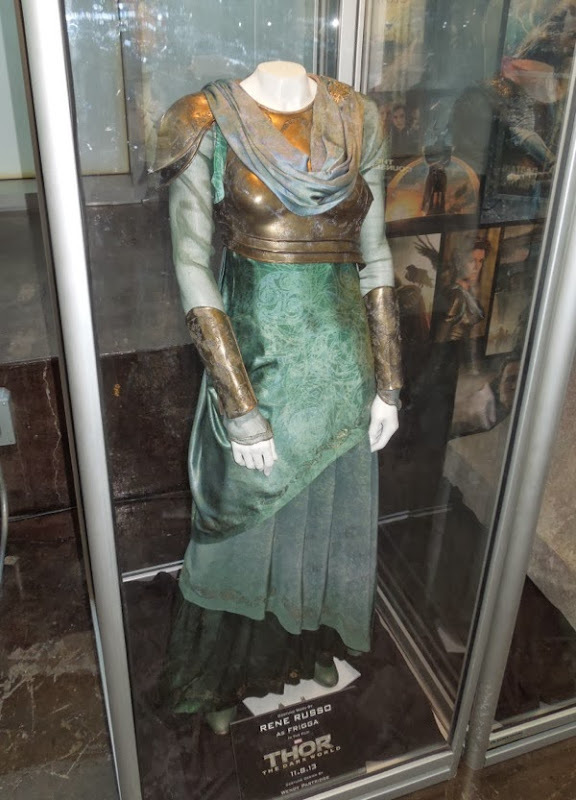 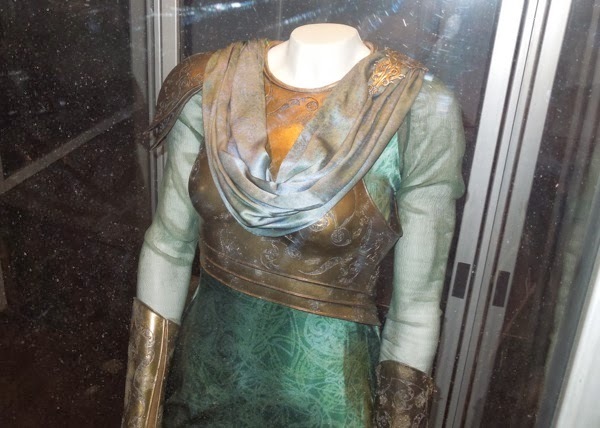 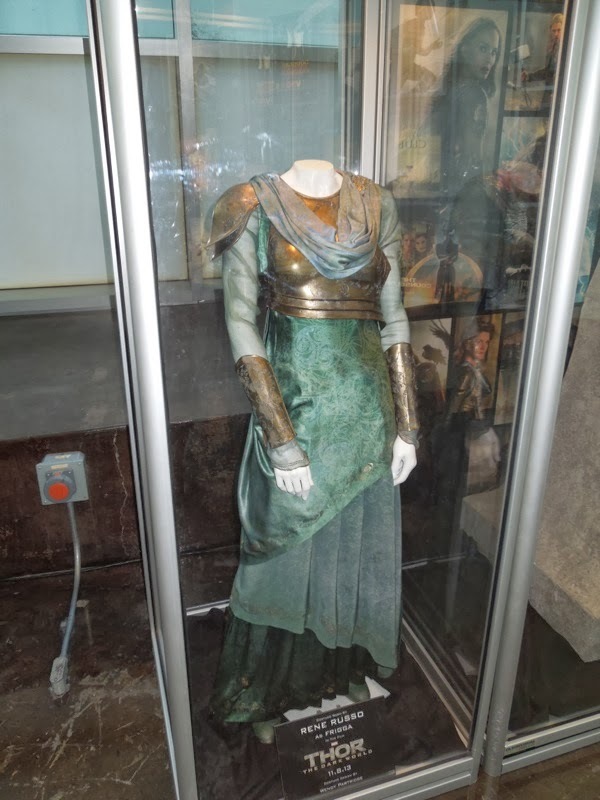 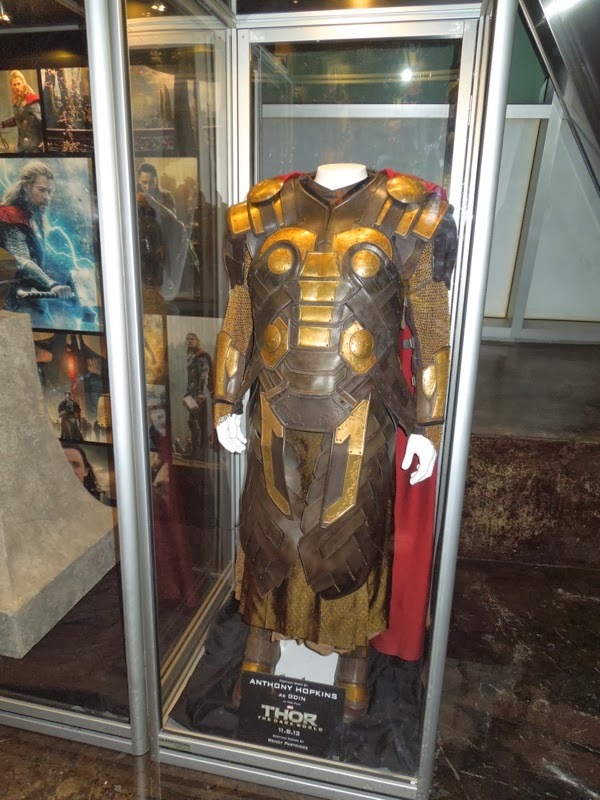 To promote the release of the movie, ArcLight Hollywood cinema had these fantastic original Asgardian costumes worn by Rene Russo and Anthony Hopkins, plus Thor's hammer prop on display on November 3, 2013. 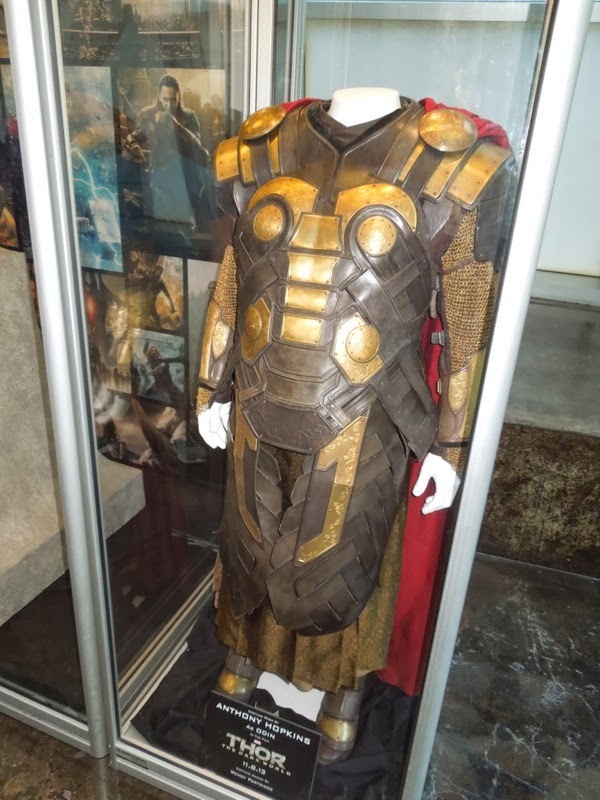 Wendy Partridge is Costume Designer on Chris Hemsworth's second solo outing as Thor, and you can also see her costume work in other genre films like Hellboy, Underworld, Blade II and Silent Hill. 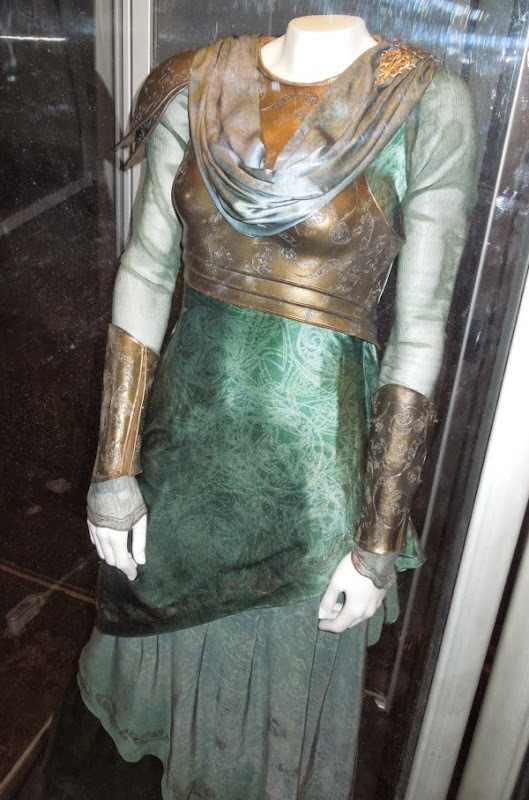 Plus be sure to check out more of her fantasy costumes in the 2011 movie remake of Conan the Barbarian. 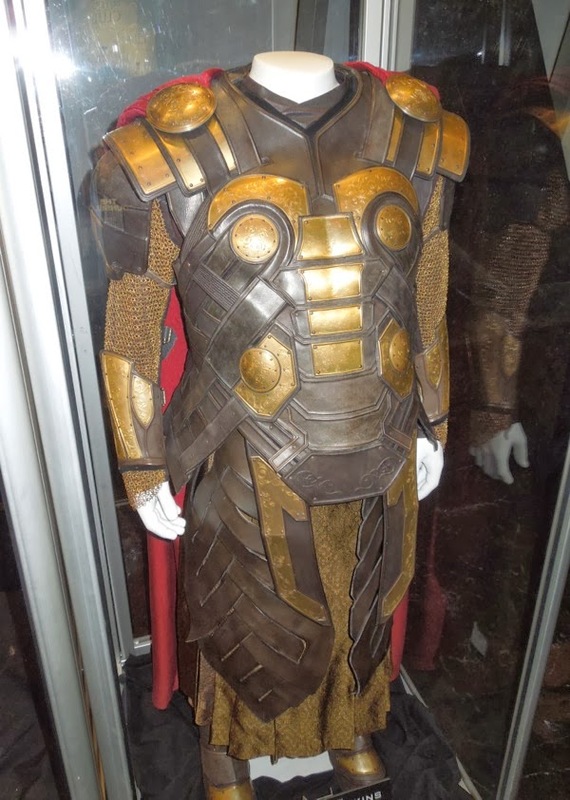 In the Marvel movies, Rene Russo plays Thor's mother and Odin's wife, 'Frigga', the queen of Asgard. 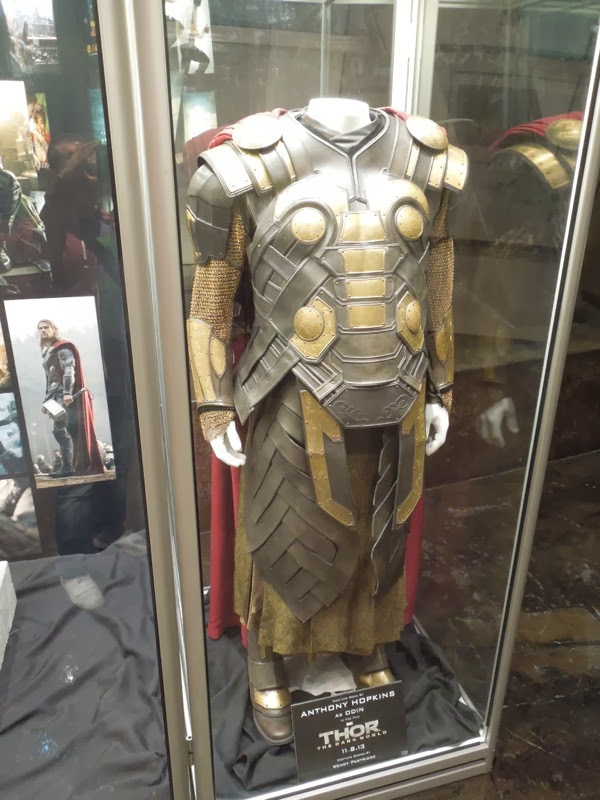 Asgardian females tend to be made of sterner stuff than human females and wears this armoured costume in her major battle scene in the movie. 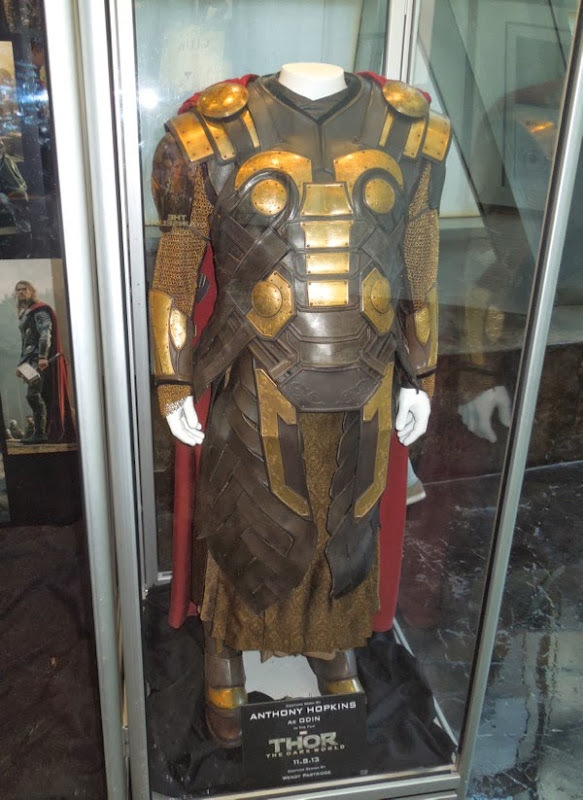 Oscar-winner Anthony Hopkins plays 'Odin', Thor's father and Loki's adoptive dad and is the King of Asgard and Protector of the Nine Realms. 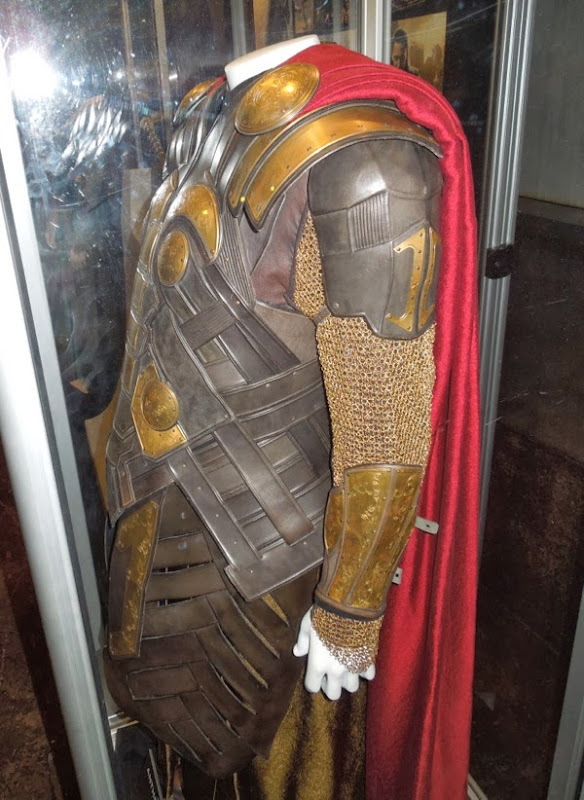 I absolutely love this regal suit of Asgardian armour he wears in Thor: The Dark World and it was great to see up close and in person. 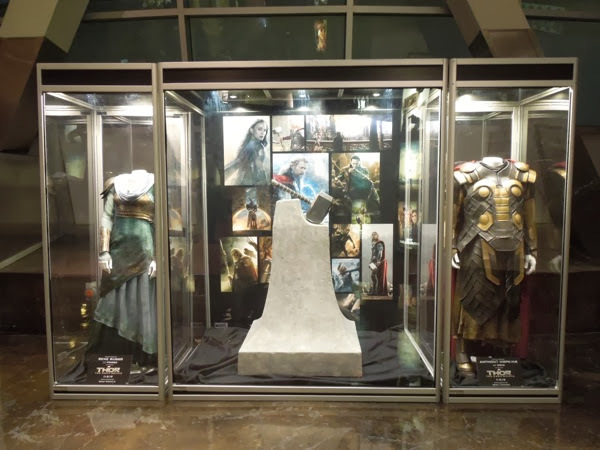 I'm looking forward to seeing these costumes on the big screen when I attend the American premiere tonight. 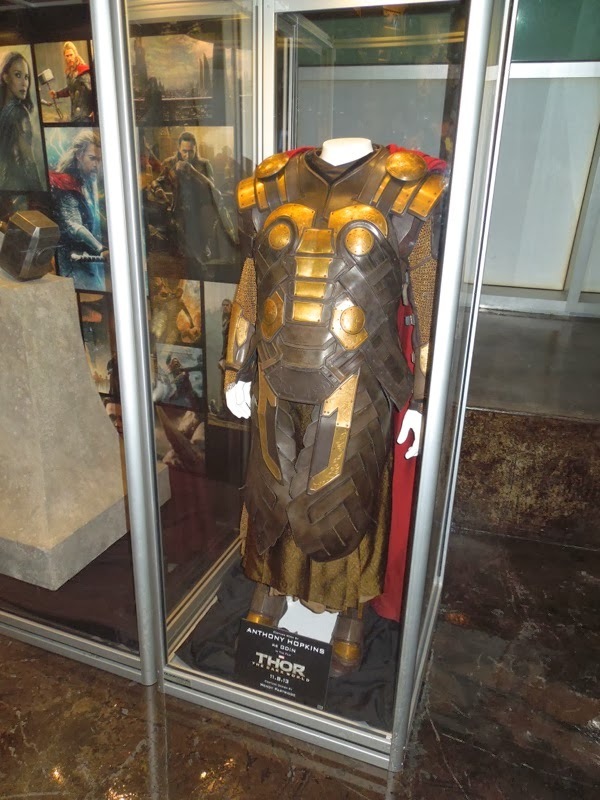 If you love these costumes, be sure to also check out Odin's Throne on display at the premiere of the first Thor movie in May 2011. 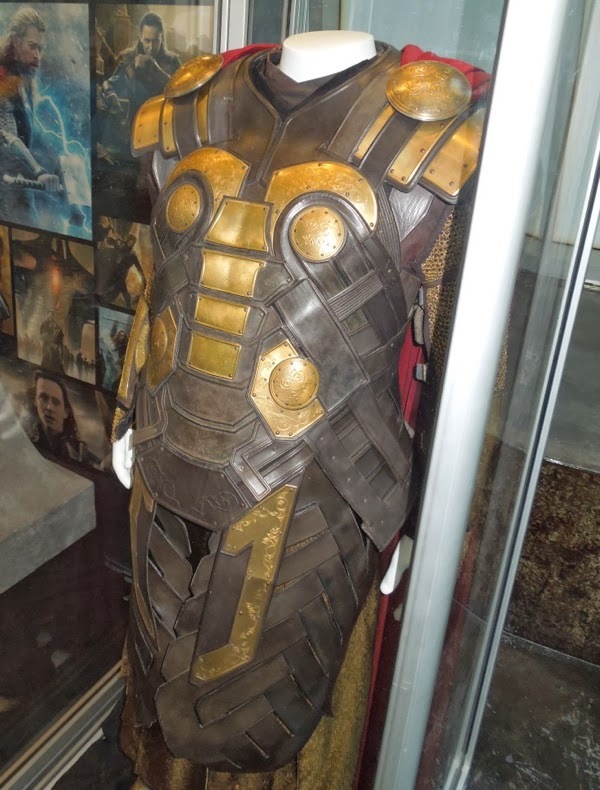 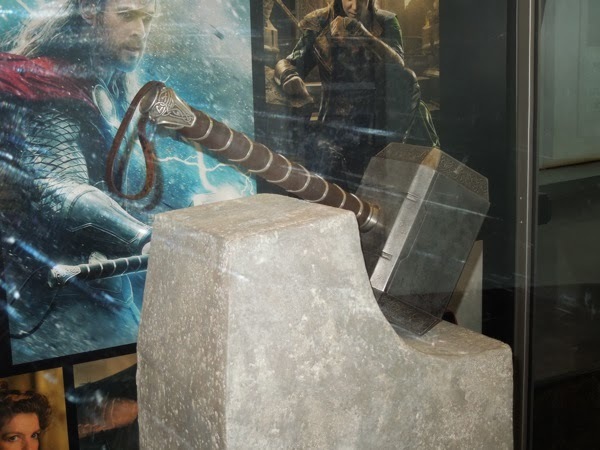 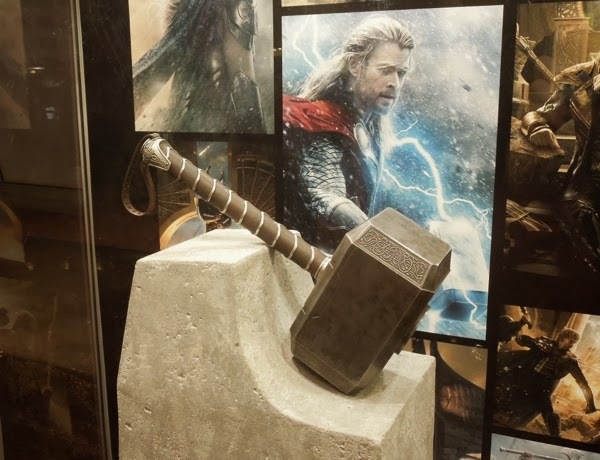 UPDATED: If you're a fan of the thunder god, you'll also want to see these original Thor: The Dark World movie props on display at Disneyland's Treasures of Asgard attraction.